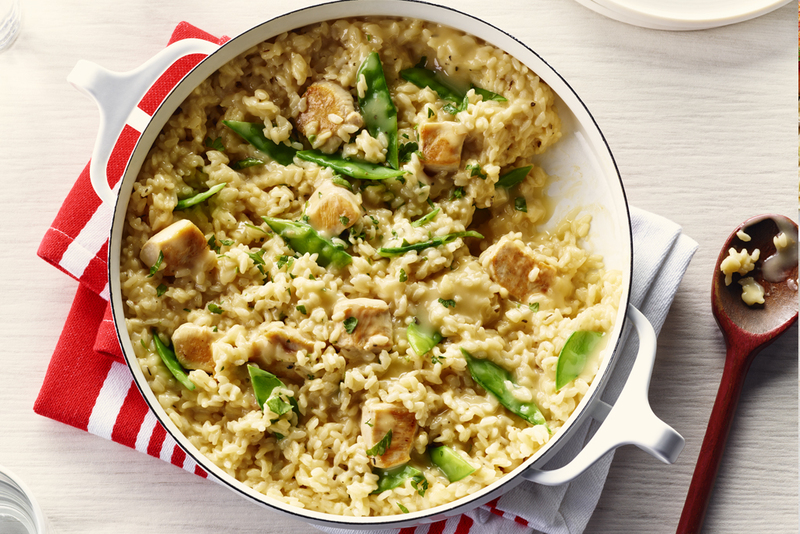 Think risotto means standing at your stove and stirring constantly? This simple, fresh and delicious version is just as creamy and delicious as the original, but takes much less babysitting—and it’s also low in sodium! Heat half of the oil in nonstick saucepan over medium-high heat. Sprinkle chicken with pepper, if using. Cook chicken, stirring occasionally, for 5 minutes until lightly browned. Transfer to plate. Reduce heat to medium. Add remaining oil, rice and garlic to pan; cook and stir for 2 minutes. Stir in soup, water, lemon juice, oregano and Worcestershire sauce. Cook, stirring vigorously, until boiling. Simmer, covered, stirring occasionally, over medium-low heat for 12 minutes. Add snow peas; cook, covered, 5 minutes until liquid is almost evaporated and rice is tender but still slightly firm. Sprinkle with parsley. Trim and halve the snow peas and chop the parsley while the risotto is simmering to save on prep time! 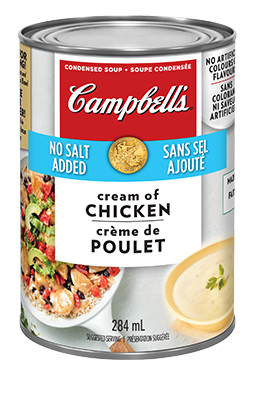 Using a no-salt added soup helps you control the sodium in your recipe. Season with salt to taste, and sprinkle with grated Parmesan cheese, if desired. You can switch up the herbs however you like. Try swapping the oregano with fresh thyme or tarragon, or replacing it with a handful of fresh basil, finely chopped. My husband needs to watch his sodium, but I don't, so I just added more Parm to mine and it was very tasty. I would make it again, was quite good. Thought the lemon was fairly well balanced with the rest of the dish. I subbed mushrooms for snow peas, with parmesan at the end, and served it with asperagus.